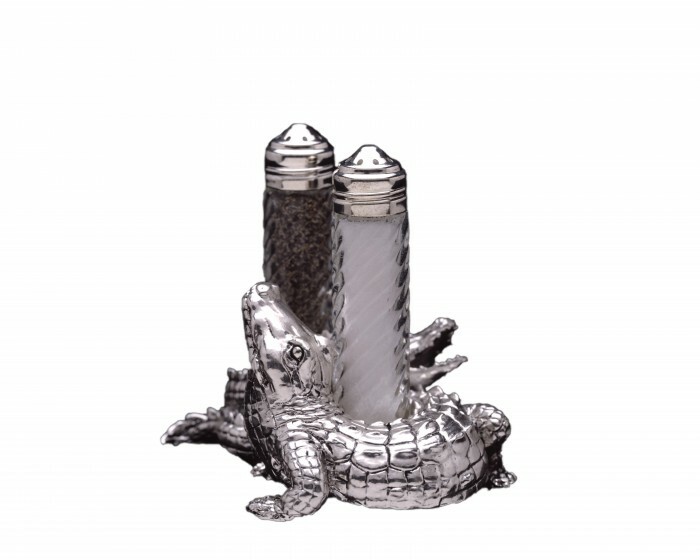 Tip them on their head and have a little fun with Arthur Court's Alligator Stand Salt & Pepper Set. Two handmade, aluminum alligators gaze up lovingly at the dispensers they protect, while their scaly bodies and tails wrap around each base. Never let salt and pepper go missing again with this removable, easily-refillable set. Size: Width: 4.5" / Height: 3.0"